Colorado Gov. Jared Polis unveiled his first budget proposal Tuesday, which outlines how he plans to pay for full-day kindergarten for all Coloradans, includes increases to education reserves and continues to build up the state’s reserves, though Polis acknowledged he was keeping many of his predecessor’s requests intact. DENVER – Colorado Gov. Jared Polis unveiled his first budget proposal Tuesday, which outlines how he plans to pay for full-day kindergarten for all Coloradans, includes increases to education reserves and continues to build up the state’s reserves, though Polis acknowledged he was keeping many of his predecessor’s requests intact. Polis submitted his proposal to the Joint Budget Committee Tuesday and will present it to the committee at a meeting Wednesday afternoon, which the bipartisan group of lawmakers will then use to put together a budget for FY 2019-20. “A budget is fundamentally a statement of values,” Polis told reporters Tuesday before he and Lauren Larson, the director of the Office of State Planning and Budgeting, outlined the top priorities in the budget: implementing free, full-day kindergarten and expanding the number of preschool slots statewide, other K-12 and higher education initiatives to help both students and teachers, several health care-related proposals, new assistance for rural Colorado and an across-the-board raise for state employees. Polis made clear Tuesday, as he did in last week’s State of the State speech , that his top priority for this year was to implement a full-day kindergarten offering statewide by this fall. His budget request includes $227 million for districts to implement the full-day kindergarten program if they so wish. The money would come from increased local funding for districts because of increasing property values now above what was last forecast, Polis said, in addition to lower forecast enrollment growth and inflation. Polis and his budget office are forecasting local revenue to continue growing over the next three years. According to the governor’s office’s projections, districts are now forecast to bring in an additional $56 million in local revenue in FY 2018-19; an additional $199 million in FY 2019-20 and an additional $218 million in FY 2020-21 to bring total local revenue up to about $2.9 billion by the end of that fiscal year. They are also projecting that millions of state dollars will be freed up because of the increasing property values – to the tune of $78 million this fiscal year and an additional roughly $600 million over the two fiscal years to follow. The proposal keeps in place a $77 million reduction in the state Budget Stabilization Factor that Hickenlooper had previously requested to help pay down the massive debt owed to districts, as well as the 8-percent increase to the General Fund that would bring its reserves to about $966 million. Polis is also proposing leaving $92 million in General Fund money unspent and adding it to the State Education Fund reserves – bringing those reserves to about $230 million in the event of an economic downturn. But Polis and his team noted that possible legislative changes to the Gallagher Amendment could still play a factor. Regarding full-day kindergarten, Polis and his budget team made clear Tuesday that districts would have a choice of whether to enter the program. But he and his team have tried to make the offering financially lucrative to districts in hopes that they will implement the changes. Each kindergartener enrolled would count as one student rather than 0.58 as they now do, which is where the $227 million estimate comes from – each district participating would get extra funding for each child enrolled in the full-day program. Each district would also get additional money to implement the program and to write curriculum, buy supplies and make classroom space, which the proposal says would total about $25.7 million. Districts that choose not to implement the full-day program would continue to receive funding at the old rate, where each student counts as 0.58 of 1 when it comes to per-pupil funding. Polis and his team estimate that the $227 million investment would free up about $100 million for school districts that are currently using some of their existing funds to pay for full-day kindergarten, and allow them to use that money for other means, including increasing teacher pay and hiring more teachers. They also estimate that Colorado families who are currently paying for full-day kindergarten tuition could save money – up to $500 a month, they said – because the tuition would be funded by the state under the new program. Further, the proposal says, funding full-day kindergarten would free up space for an additional 5,100 children to get into preschool as there are about 8,000 children who are eligible or on wait lists for preschool. And injecting an additional $13 million into the budget, as Polis proposes, would fund the remainder of those eligible or on waitlists for preschool, he said. Altogether, according to the proposal, Polis says that 13,000 more Colorado kids would have access to full-day kindergarten; 30,000 fewer families would have to pay tuition for full-day kindergarten; and 8,000 more children would be able to attend preschool if the JBC approves his request. 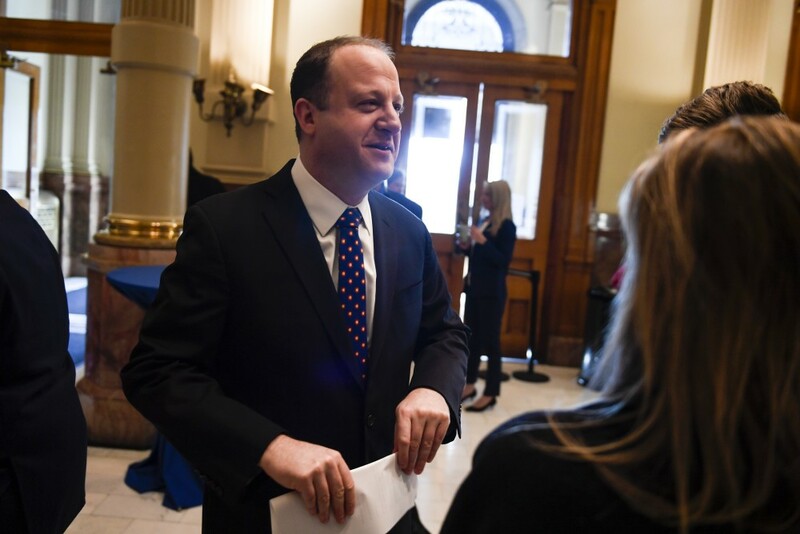 Republican lawmakers and even some Democrats have questioned how Polis planned to pay for his full-day kindergarten plan and if it is feasible for all the state's districts. Polis also proposed several other measures related to K-12 and higher education. He is continuing Hickenlooper’s pledge of $10 million to support Education Leadership Council initiatives and has proposed $6.5 million to help teachers pay off student loans and encourage them to work in rural parts of the state. Polis said that was a slight departure from years past, when some of that money went to scholarships for prospective teachers. It also includes $2 million to target the 10 percent of Colorado schools with the highest dropout rates and includes money to bolster dual- and concurrent-enrollment classes in conjunction with state community colleges. “We are ready to go to work to dig down and identify the cost-drivers in higher education, but for this year, we are including in our budget the 0-percent increase in tuition,” Polis said. Polis said he was “very excited” about the administration’s health care agenda and reiterated his creation of the Office of Saving People of Money on Healthcare, which will be headed by Lt. Gov. Dianne Primavera and aims to reduce health care costs across the state. His proposal also includes $1.3 million to get the wheels off the ground on a prescription drug importation system from Canada that Polis said he will work with the General Assembly to craft. He also proposed a reinsurance program that would “essentially provide insurance for insurance companies,” according to his letter to the JBC and which would help pay for the coverage of the highest-risk Coloradans. “Those savings not only save money on those cases, which pays for the program, but it creates downward pressure on rates for everybody else by putting some cost containment on those highest-cost programs through the reinsurance program,” Polis said. Polis said he would work with the General Assembly on the program, which he hoped to establish by next year. Polis also proposed $3 million for a paid parental leave program for all state employees -- $2 million of which would come from the General Fund. He said it was simply a start to the program but that the legislature was considering a larger effort this session. He said the initial funding would be “essential” funding for an eight-week program in order to fill critical positions for the estimated number of people that would be taking the leave. Polis said he would continue the $30 million investment proposed by Hickenlooper to fund the Colorado Water Plan to help mitigate drought, which has ravaged rural parts of the state in recent years. He also proposed $2 million to create a new grant program to help provide “seed” money to small businesses just getting started in rural parts of the state. And regarding his tax reform proposal floated in the State of the State address, Polis said it was not a budget item because it would be something that does not involve the budget and would be worked out with lawmakers. Polis asked for a 3-percent across-the-board raise for all state employees in FY 2019-20 rather than the 3-percent merit-based raises proposed by Hickenlooper in November , saying that rewarding performance was important, but a raise was needed for employees now. He proposed an additional $1.2 million on top of Hickenlooper’s request for $600,000 made in November for the Colorado Oil and Gas Conservation Commission to hire 16 new positions, including five new inspectors – which would total $1.8 million. Polis said an increased number of permits going through the commission and his pledge to protect public health and safety was the reasoning behind the added money. He noted that several of his proposals will have to be worked out with the legislature and said they were still working out which bills some of the proposals would be attached to. “There are a number of bills for many of these legislative priorities. … We’re not picking and choosing favorites at this point. I think we’re simply identifying what I think most of the sponsors involved would believe are reasonable efforts for the cost of including those in the budget,” Polis said. He will present and discuss his proposals with the JBC at a meeting Wednesday scheduled for 1:30 p.m. State law requires that lawmakers produce a balanced budget every year, and there are many competing issues vying for money in this year's budget -- including the massive transportation project backlog that lawmakers are still trying to address and which Polis' proposal did not directly address.